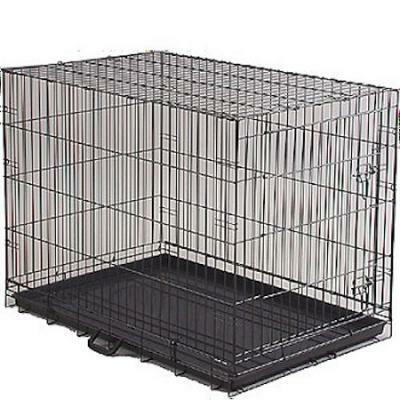 Available in luxurious, rust-proof, Black baked powder coated finish with durable plastic pans The Economy Dog Crate has a durable, black baked powder coated finish and an extra deep 1 1/2" pan to contain messes and hold cushions in place -removes easily for cleaning. The heavy gauge body mesh is sturdy and stable. "Excellent service. I love the item. I plan to order another in the next few days. Thanks."